← After The Stretch. Fun. In the hopes to get ever more done, every day, we often park in the fire lane. That’s when your life, your business, or your family is nothing more than one big emergency. 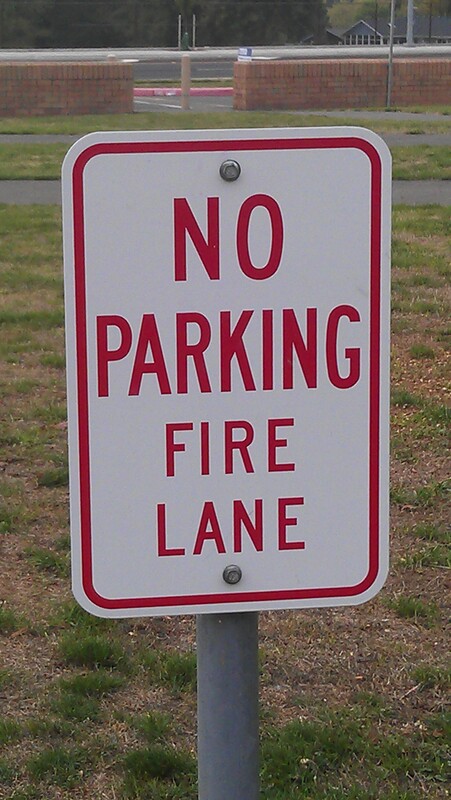 It seems like we’re scrambling from one fire to another, never bothering to park anywhere else. Emergency responsiveness is important when there’s an emergency. But when the fire is done, don’t leave your car parked in the fire lane looking for another fire. Because you’ll always find one. That is unsustainable, unsatisfying, and blinding to other needs around you. Businesses love a leader who can head-off a disaster before it happens. And no leader who parks in the fire lane is going to be able to do anything but fight fires because he isn’t there when the spark is lit. The same is true for our personal lives. If we pull out of the fire lane, we’re more likely to take a look around and see the child who is struggling in school and help them, before they end up on the street corner. Telling the neighbor that his headlights are on precludes standing in a driveway on a winter morning jump starting her car. It also takes far less time to put out sparks than fires. That allows us to do more with less time. We can make a bigger impact by doing smaller things. Seen from that perspective, the small act of kindness or volunteering a few hours of your time is every bit as important as the heroic. The fire lane is for emergencies. But parking in a fire lane is an emergency in itself. Yesterday’s gift of time … Attended my daughter’s parent-teacher conference. With luck, we’re putting out sparks before they can become fires. This entry was posted in Around the House and tagged act of kindness, crisis management, emergency, fire lane, fires, Giving Our Time, giving time, Helping Out, Making A Difference, parent teacher conference, parent-teacher conferences, sparks, Time. Bookmark the permalink.